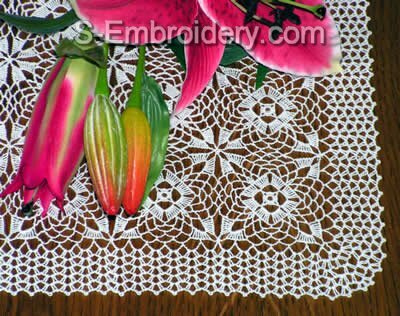 A set of 3 freestanding lace crochet machine embroidery designs. 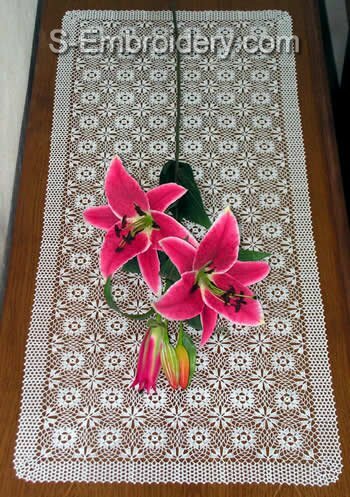 Used in combination these designs will let you create a table runner, table cloth or curtains with a size of your choice. 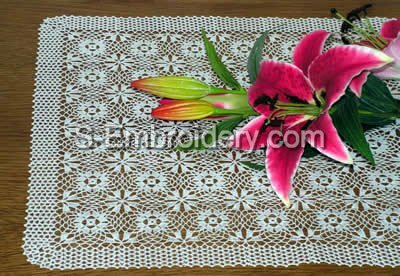 We offer you a set of 3 machine embroidery files in one of the supported formats and a PDF file with design information.